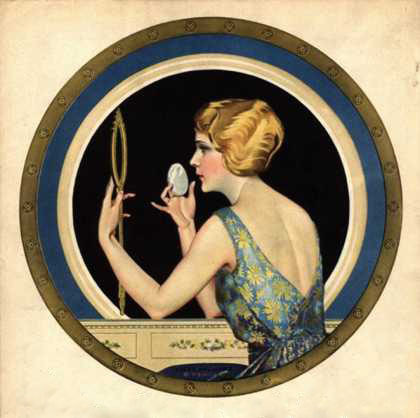 I don’t know how often (but it’s way too often) as a makeup artist I get confessions from other women about how they either never clean their brushes, or do it just three times a year. Every single time I use a brush on a client, it gets washed. There’s a reason for that beyond just getting rid of the color pigment. Wouldn’t it be gross if I kept spreading bacteria from face to face with dirty, gunky brushes? Not to mention that by contaminating makeup you are ultimately ruining it. If you’re not cleaning your own brushes at home at least weekly, that’s 4 times a month, then you are asking for acne and potentially other nasties on your face. Read how to make a natural brush cleaner. Why? Why? Why would you do this? Nothing about this is a good idea. Dr. DeJuliis calls this “a mortal sin”. I don’t care if your makeup says it won’t clog pores, it will if you leave it on overnight, because the skin can’t renew itself properly. Then you end up with clogged pores, bacteria build up and inflammation, which is what causes big ol’ pimples. Yes, makeup remover wipes can be handy when you’re just too tired to actually get to the sink and some soap, but this is not a good strategy for every day. If you just put in a little care into washing your face the right way you can actually make a world of difference in your skin. Buying Professional Products Outside Of A Salon Or Spa. It's very tempting to buy these products for such a discount, but it's really not worth it! A quick search on eBay or Amazon will bring up thousands of products for hair and skin care, often at drastically reduced prices. Many professional lines, such as MoroccanOil, Aveda, MAC, and Dermalogica, insist that their products are ONLY sold at professional salons, spas, or directly from the company. I've personally talked to reps of these companies, and on many of their websites they specifically say that any products not sold through authorized retailers are neither safe nor recommended. So where do these products come from? It varies widely. Some of these products CAN be legitimate, but it's very unlikely. Some bottles are real products watered down, some bottles have completely different products in an expensive brand name bottle, some bottles are previously opened or expired, and some- seriously- come from dumpsters. Yes, dumpsters. People dumpster diving at Sephora, Ulta, Sally Beauty, and other beauty supply stores is extremely common. They find expensive products in the dumpster and resell them on eBay, Amazon, or directly to a consumer by posting videos of their product haul on YouTube and transferring money through PayPal. Not only is this unethical, it's disgusting. There's a reason that those products ended up in the dumpster in the first place, whether they were expired, defective, damaged, or were returned products they could not legally resell. Not only were they not able to be sold before they went into the dumpster, but then they were sitting in a dumpster for an unknown length of time before someone dove in and found them. Many beauty supply stores will deliberately damage their merchandise in order to prevent people from looting their garbage, but this doesn't stop a lot of people. It's not just beauty products- she shows bottles of expired food she's also selling. "Out of date never killed anyone." At 10:23 she shows an Urban Decay Electric palette, with clear brush marks on it. This poses a serious risk of infection, especially with eye products. You don't know who used it before you, whether they had pinkeye or other extremely contagious diseases. It's just like using someone else's dirty foundation sponge. It's also a slap in the face to many beauty professionals. When a hairstylist or esthetician recommends a product, and the client decides to find the "same" product online, they are not paying the professional for his or her time and experience. A stylist or esthetician has gone to school for countless hours to get education, has spent time with this client figuring out which products will work best for their specific skin and hair needs. Instead of paying the professional who cares, buying from these people amounts to paying a criminal for their illegal activities. These people are not authorized to sell these professional products, have no education to determine which product is appropriate for which skin type, or known which people are contraindicated for these products either. Is it worth it? No. It's disrespectful, it's illegal to sell products you are not authorized to sell, it's disgusting, and it's risky, all to save a few dollars. Is every single product sold on eBay and Amazon infected with pinkeye? Of course not. But it's not knowing the difference that's dangerous. Please respect the professionals in the beauty industry and buy direct. From a book called "Super Immunity: Essential Guide to Building Body's Defenses" It states "five deadly foods" that you must avoid! Java Scrub- recipe that I thought would be great to share with you. 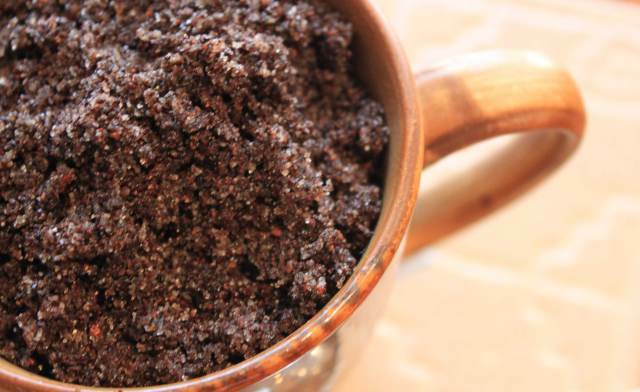 This Java/coffee scrub will clear away dull skin and leave you with a brighter complexion, the caffeine helps reduce swelling and the massaging action of applying the scrub flushes out excess fluid that make your hands, legs and feet look puffy. What I can tell you is that it smells wonderful, gives you that wonderful spa scrub feeling from your very own home and it leaves your body skin soft. This is a body scrub, DO NOT use on your face!!! Use: Massage scrub over clean, damp skin; rinse and pat dry (you might want to use a little soap when rinsing if you don’t want too much oil left behind on your skin). The scrub will keep for 2 months if kept in a cool, dry place. Eczema resides inside the body, and the cure for eczema does not come from an external cream. For eczema to heal on the outside, the digestive tract must first be healed on the inside. However, healing the digestive tract can take a bit of time and what should you do in the meantime while the skin is itchy and inflamed? 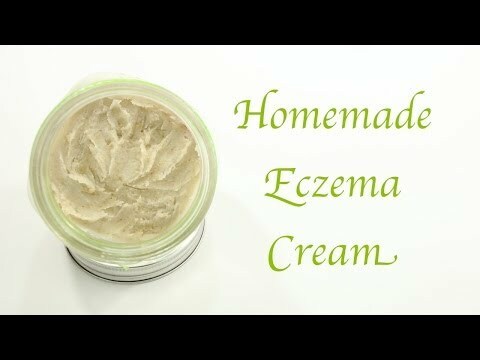 Homemade Eczema Cream to the rescue! Made with shea butter, coconut oil, lavender essential oil and tea tree essential oil, this cream contains healing properties to soothe that irritated skin and offer some relief. 15 drops lavender essential oil, therapeutic grade only. 5 drops tea tree essential oil, therapeutic grade only. Fill a saucepan halfway full with water. Heat the water over medium high heat (but do not boil). In a mason jar add the shea butter and the coconut oil. Place mason jar in the saucepan (like a makeshift double boiler) until the oils melt. Remove the mason jar and allow it to cool slightly on the counter before you add the essential oils. It’s okay if the oil is warm when you add the essential oils, but it should not be hot. Mix the essential oil into coconut/shea mixture and put the jar in the fridge to get firm. You can use the eczema cream at this point, but if you’d like more of a “whipped” body butter lotion then put the oil in a kitchen aid stand mixer and mix on high for several minutes until the eczema cream looks like whipped butter. You may have to scrape the sides of the mixer down a few times. Apply liberally to any affected area of the skin. Protect those lips! Our lips also go through change through the seasons. If you're experiencing dry or chapped lips, use a protective lip balm with hydrating components. Also, everyone needs one with UVA/UVB protection. Eat your vitamins and get lots of antioxidants. 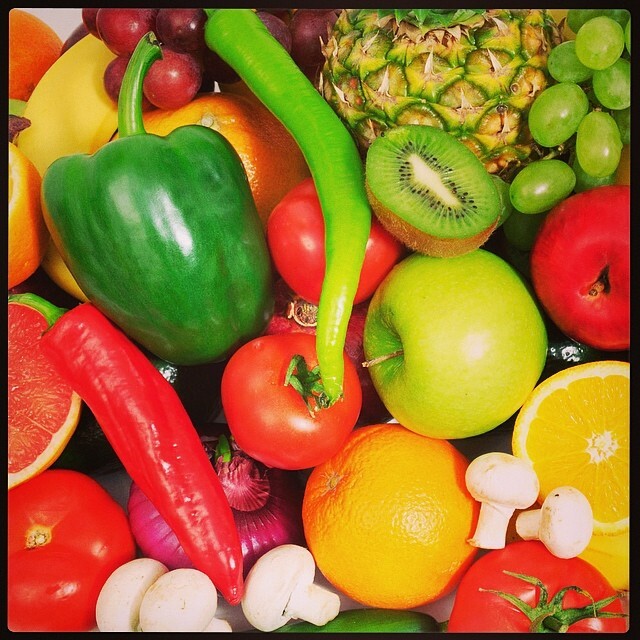 Antioxidants' free-radical-fighting activities destroy molecules that can damage healthy cells, and as it turns out, they're as great for skin cells as they are for every other cell in the body. While many different antioxidants can be beneficial to the skin, two in particular get lots of attention: Vitamin C- Builds collagen for plump, tight skin. (Red Bellpeppers, Kiwi and Citrus fruits). Vitamin E- Protects cell membranes and boosts skin based nutrients that fight off UV damage (Wheat germ oil, almonds, sunflowers seeds and Spinach). Keep your skin hydrated! Acne, Rosacea, Hyperpigmentation, Wrinkles and Pore Size all improve when skin is adequately hydrated. Conversely, all skin conditions worsen when skin is dehydrated. Select your Cleanser, Toner and Moisturizer according to your skin type. Your skin type is either oily, combination or dry. Your skin type refers to the amount of oil production. It does not refer to water hydration or dehydration. Can an oily skin type be dehydrated? Yes! This does not mean you should treat your oily skin as dry. 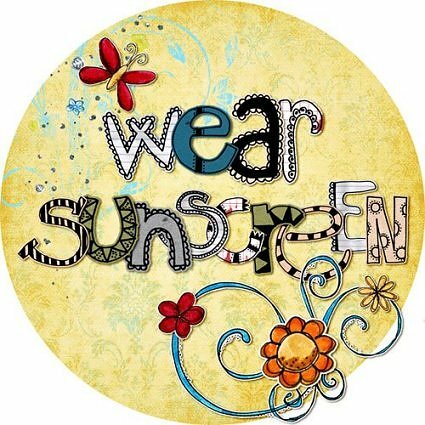 Don't undo the results from Esthetic skin treatments by skipping sunscreen- one day in the sun without protection could undo a series of facials/skin treatments. Hi there! I'm Terry and I'm a Licensed Esthetician and the Administrator of the Skinsational News Blog.